The Devon House of Mercy, a Magdalen Home for 'fallen' young women, was established in 1861 by the vicar of Bovey Tracey, the Rev. C.L. Courtenay, in collaboration with three Sisters from Anglican Order of St John the Baptist, Clewer, under the direction of their Mother Superior Harriet Monsell. In 1863, the Home moved into temporary accommodation at Chapple Farm, where around twenty inmates could be housed. In 1865, the Earl of Devon laid the foundation stone for permanent premises on Coombe Lane which came into use in 1867. 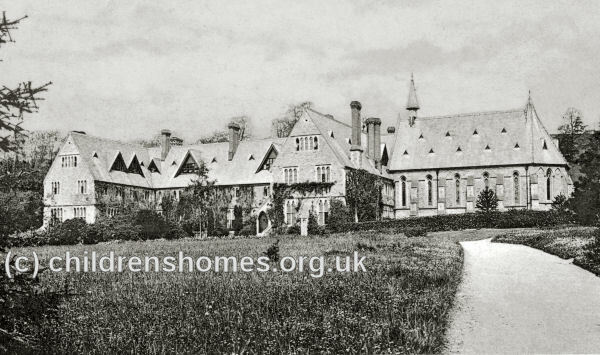 The buildings, designed by Henry Woodyer, could accommodate up to 72 girls, aged 15 to 25 at their date of admission. Inmates were expected to pay a fee of £5 a year and generally remained for two years, during which time they underwent training for domestic service. The home closed in January 1940. After the Second World War, the buildings were converted to private residential use. The Berkshire Record Office, 9 Coley Avenue, Reading, Berkshire RG1 6AF.